University life can be demanding! We're sure all students are aware of the stress and struggle that comes in exam season. 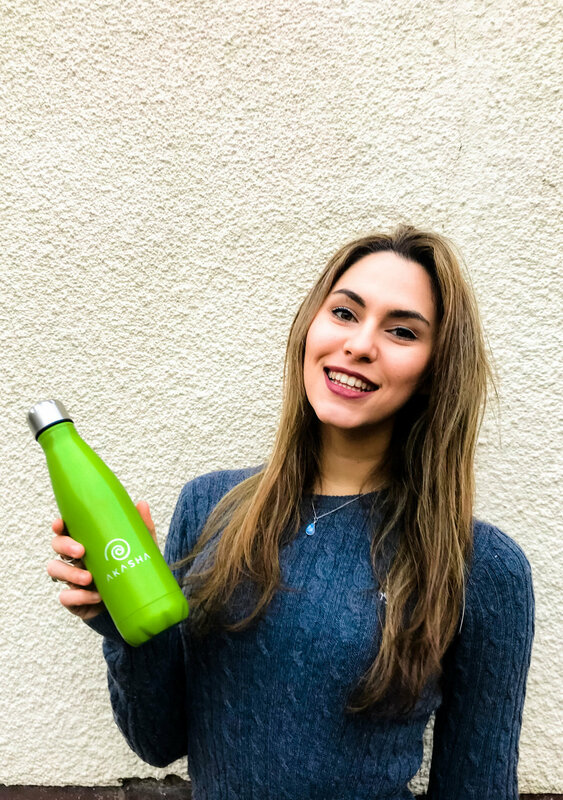 We spoke to Vegan/Fitness blogger Natasa to find out more about her vegan journey and to share any tips she has for other students looking to stay fit and healthy whilst studying. Let’s start with a small introduction, what would you say are your main interests and hobbies? I think that we all have several interests that we pick up throughout the years, but some are focused on more than others. Thinking about hobbies that I've consistently pursued and enjoyed doing over the years; cooking, exercising, travelling, and writing are probably at the top of the list. I've always loved being creative in the kitchen and trying out new recipes, whether its savoury/ sweet/ raw/ or cooked meals! About a year ago, I decided to start up my own vegan food and fitness Instagram page, along with a corresponding blog website- where I share my journey with people who are already into fitness and are vegan themselves, or for anyone who's slightly interested in my posts and wants to learn more! This has allowed me to expand my writing capabilities, which were initially fostered through student journalism and various placements at national newspapers in the country, but have finally manifested through my blog. Moreover, I love to share the 'vegan message' on my social media platforms, where I speak out for animals rights and the injustice they experience in the world, I've made a couple of blog posts on the topic so far and plan to expand that section of my blog in the future. Finally, travelling and exploring the world is an interest that many of us share, which is such a beautiful and simple hobby to have, as it helps us to appreciate the beauty in our surroundings and the rest of the world for what it is. What inspired you to become vegan? Transitioning to a vegan lifestyle has definitely been a process over time, but I can't think of a more rewarding and fulfilling way of living. This is quite ironic, but I really wanted to go to a dairy farm for my sixteenth birthday, so my granddad called up one of his friends and took me along to a local farm back in Cyprus. Little did I know that I wouldn't be sat on a stool in the middle of a field, milking a cow from her udder... instead, I was walked into a confined room packed with cows. The factory was relatively small compared to what you'd see on documentaries, but it still got the picture across that cows were being commodified, mistreated, and oppressed. To say the least, I wasn't just disappointed, but also shocked at how different my perception of animal farming was compared to the reality. Despite not going vegan or cutting out any animal products immediately, I think the whole experience must've had a long term effect about half a year later. I became quite passionate about equal rights and human justice, which created a ripple effect for my overall support of the equality of all living beings. 17 year old me didn't anticipate the controversy that this would bring, but after having countless discussions with family members, friends, teachers, coworkers, waitresses, even strangers on the internet... I've managed to help so many of my friends and fellow peers transition to a vegan lifestyle. I couldn't be happier that more and more people are turning vegan every day, all around the world! Do you think we’ll reach a point where the majority of the world will be vegan? I certainly hope so. I genuinely do believe that all human beings are generous, kind, loving, and caring deep down. Regardless of how people act, or portray themselves in a world where so many of us struggle to find our self identity, I think that compassion and mutual understanding will win out! I might be acting overly optimistic right now, but I think that no matter what your incentive is, at the end of the day it becomes all the more easy to have a unified perception of veganism as a lifestyle that benefits other sentient beings, the environment we live in, and your own mental and physical well being. Do you have any tips for other vegan students? One of the main tips that I'd give to any student who is trying to save money would be to bulk buy canned beans, rice, oats, pasta, plant based milk, and frozen food when they're on offer! But mostly, don't believe the ongoing rhetoric that "vegan food is expensive," it's not! Foods like potatoes, rice, beans, oats, and vegetables are some of the cheapest foods in supermarkets- and also the most nutritious. Of course ingredients such as seeds, nuts, dried fruit, and fancy condiments will rack up your supermarket bill- but they're a one off purchase and can last for up to half a year! I like to also shop around deals, as opposed to around my appetite as it doesn't only help me stay within my weekly budget, but it also helps me get creative in the kitchen. Then again, I will cave into new vegan products that are calling my name from across the shelf, but there's nothing wrong with treating yourself every now and then! As for eating out, a quick google search of most restaurants helps you figure out what vegan options they offer, such as "Nando's vegan options." Alternatively, most restaurants will offer a vegan menu nowadays and if they don't, just ask staff members to show you their allergen menus, as most places should have one on hand. Click on the picture to check out Natasa's Quick and Easy vegan pancake recipe! What is your go to Vegan snack? Hardest question yet, haha- but my go- to vegan snacks really do vary according to whether I'm on campus all day, or doing work from home. So it''s either an energy bar ( I'm literally obsessed with the blueberry Nakd bars, the coconut Trek bars, Clif bars, and more recently- the Myprotein baked chocolate cookie), but when I'm home, I love snacking on my homemade vegan brownies, granola topped porridge oats, or just some avocado and hummus on toast! If you could adopt one animal what would it be? A wolf (in an imaginary world where it wouldn't be away from it's natural surroundings...). So, deers are probably my favourite animal, but that's because I love how gorgeous and graceful they look when they're free in their natural habitat, in nature. 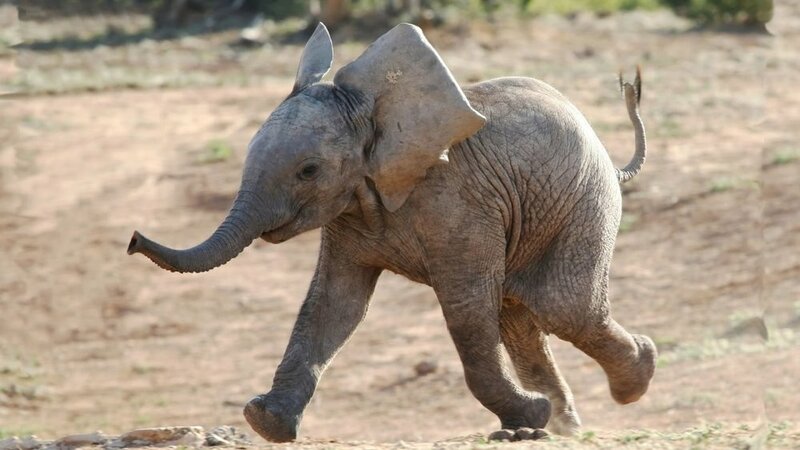 I also love elephants, I went to an elephant rescue sanctuary in Chiang Mai, in Northern Thailand two years ago; bathing with elephants and feeding them has got to be one of my favourite days ever, but realistically something tells me that trying to fit an elephant in my house or garden would be a tad impractical. So, I've chosen a wolf because I've always grown up with dogs, ever since I was born, so Wolves still resemble an animal that is familiar to what I know and close to my heart, whilst nonetheless being a beautiful animal within itself. 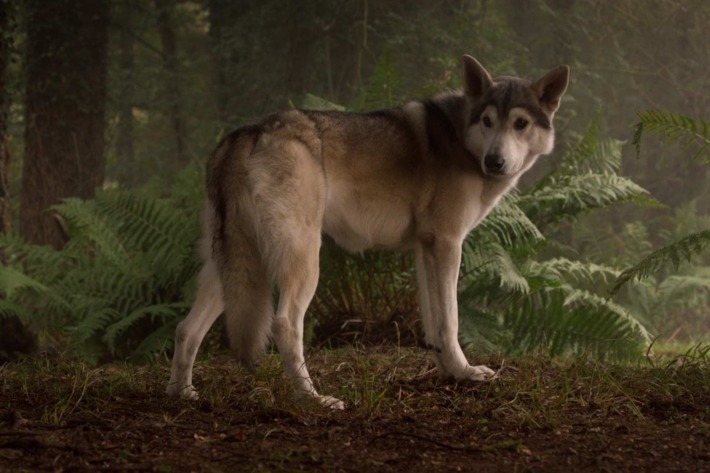 I think animals are definitely a personal preference, but I think wolves are such beautiful animals; their fur is gorgeous as well, and I guess they could also act as my body guard? I don't necessarily follow a strict workout routine, but I try to go to the gym or workout about four time a week. It helps me stay on track with my fitness, my mood, and it also to maintain an organised schedule for the rest of my day. I've realised that my mood is so much better and that I feel more energetic and motivated on days when I workout, compared to days when I don't. So regardless of how lethargic you feel, even going for a 1 hour walk around your town can help get your blood circulation going and release some positive endorphins. When I do go to the gym though, I try to focus my workouts on weights, the cable machine, and body weight exercises at the mat area. I'm not necessarily a fan of cardio, as I don't find it as effective when it comes to building up my fitness and physique, but if I'm being honest- I also consider it quite boring. I live in a student town, so I tend to walk everywhere anyway, which guarantees about 40 minutes of walking within my day- that should be enough cardio to keep my blood flow regulated, haha! I don't actually think I have a 'role model' a such, or someone in specific who inspires me to achieve my goals and live my life.... but, I think it's more so that I feel inspired by everyone I meet who lives their life to the fullest and follows their dreams! I find it so inspiring to see people living their life, without caring about what others think of them; it's important to know that you don't need to conform to anyone's perception of "normality" to be happy with yourself and the people who surround you. If I were to namedrop a handful of individuals who inspire me to continue being myself and doing what makes me happy, then it's the people who I've grown closest to over the past four years and who've stuck by my side whilst accepting me for both my highs and lows- Jenny, Rachel, Niamh, Harry, and Sam. We all need humans in our life that provide constant rays of sunshine, even on the gloomiest of days! Learn more about Natasa on her blog www.nutritionalnatasa.wordpress.com and get access to some amazing vegan recipes! You can use code 'NATASA' for 15% off all purchases in Our Shop!